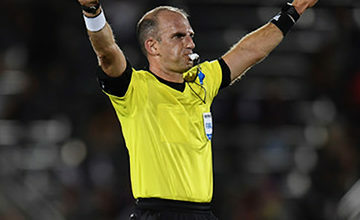 On July 1, 2019 the US Soccer Referee Program is changing the classification system that is currently used to identify referee grades, referee names, and certification/re-certification requirements. All referee grade numbers 1 through 9 are disappearing. 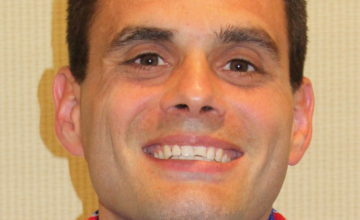 The names for the referee grades 5, 6, 7, 8, & 9 are changing. Minimum age requirements, minimum time in grade requirements, upgrade training requirements, and minimum career game requirements for upgrade are also changing. All referee grades 7, 8, and 9 are renamed “Grassroot Referees.” Minimum age beginning July 1st for any referee will be 13 years old. There are no fitness or assessment requirements for Grassroot Referees. In the new system, as there will no longer be a grade 8 referee, there will no longer be an upgrade from 8 to 7. The grades are the same in the new system, called Grassroot Referees. The current State Referee grade 5 & 6, are renamed Regional Referees with a minimum age of 18, minimum time in grade, specific fitness and assessment requirements, along with specific recertification requirements and game log requirements. For assignment purposes there will no longer be a specific Referee and AR track for the current grade 5 referee. That will begin at the National Referee grade level. The current recertification dates in August, September, October, and November will remain the same and ALL current grade 5’s & 6’s (known as regional referees after July 1st) will need to attend one of the four recertification events. The new classification system dramatically affects all current grade 7 referees and those who are working on getting assessments for upgrade from 8 to 7. That is why all 8 to 7 upgrade assessments effective April 2nd are terminated because on July 1st, the grade will be the same. The State Referee Committee is working on a solution for all current 2019 re-certified grade 7 referees and those newly upgraded to grade 7 in 2019. All grade 7’s will be contacted individually by the SRA or his designees for a suitable path forward. (New 6:00 pm) A Regional Referee Upgrade Course is being planned for November 15, 16, 2019 somewhere in the middle of the state. The teaching modules are unavailable as of the date and time of this announcement. The course time frame will be announced when it in known. 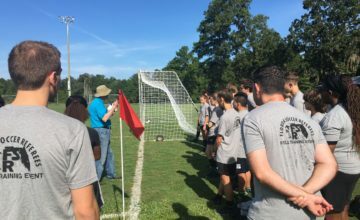 For more information regarding the new July 1st US Soccer Referee License Requirements, a PDF presentation has been posted in the FLSRC library for viewing, or click the link below to view the new requirements directly.